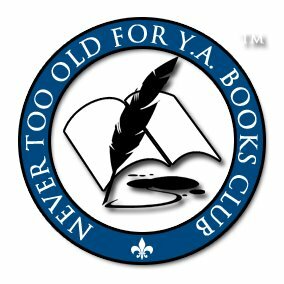 It's Author Thursday hosted by the Never Too Old for YA and NA Books group on Goodreads. Today we welcome author Shandy Lawson for an interview! I had the pleasure of of reading Shandy's book as an ARC and I LOVED it! Looks good, right? So let's hear what Shandy has to say! I put quite a few years into a career as a musician, and I had a blast. But ever since I was little, yeah, I wanted to be an author. Well, that’s a tricky question, because a book is never really done until it’s on store shelves. Typically, I can write a first draft in eight weeks or so. But before that I may spend two or three months outlining the story, then after I write the draft I’ll spend another month revising it, and then I send it to my agent. He and I will spend a couple of months getting it just right before sending it to my editor, and I’ll still be making edits to the manuscript for a year or so after that. I really have no idea. I just try to come up with something that hasn’t been done a million times already, which can certainly take a while. I’ll throw out fifty ideas before settling on one that I think might come off as somewhat original. I do– I get up early, because my creative energy pretty much fades as the day goes on, and I write for a few hours from about seven in the morning until ten or so. All my best ideas come pretty early in the day. Not easily. The writing itself only takes up a few hours of each day, but if I’m editing a manuscript I can easily spend much longer on that, plus there are emails to answer, blog posts to write, Facebook and Twitter to maintain, bookstores to stop into and stock to sign. But my friends and family know that even though I love doing it, it’s still a job and they understand if I need some time to get everything done. Conflict. All great stories are driven by conflict of one kind or another. Editing. It never ends. Just when I think the manuscript is perfect, it comes back from the editor with a few suggestions on how it could be made better. Which of course, is exactly what I want, for it to be better, but after the first few months of that… I never want to see that manuscript again. I’ve written four novels, though only one has made it to the “book” stage. 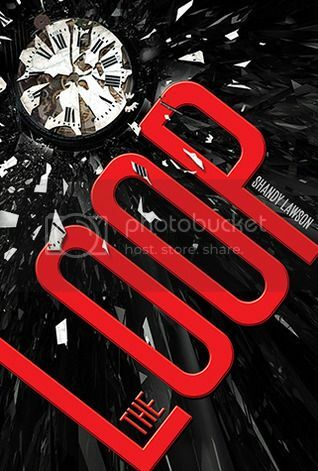 THE LOOP is actually the third novel that I’ve written. The first two were sort of… practice. In THE LOOP? That would be Psychic Steve. If you mean a favorite character ever, that would be Pennywise the clown, from IT by Stephen King. There’s a place here in New York just for writers, where (for a bit of a fee) you can have a space to write with NO distractions. I need that. The place provides a cubicle, a power strip, and a lamp. Nothing else, besides the quiet. It’s wonderful. It actually didn’t ever occur to me to self-publish at all, I just kept plugging away until I met an agent that was a good fit, and he knew the right publisher for us to work with. Have you gotten feedback from family about your book? What do they think? They’re all very excited, of course. My mom wouldn’t let me give her a copy; she went to the bookstore and bought a few herself. Mostly, reading. Can’t be a writer without being a reader. I also like to cook, wander New York City, and feed peanuts to squirrels in the park. Really. Two things. Read– again, you can’t be a writer without being a reader. Read everything, even if it’s bad. Especially if it’s bad. And write, lots. There’s no substitute for experience. Your writing will be awful for a while, and that’s totally fine. Just keep writing and writing. And writing. There are dozens of books I’d consider my very favorite, but for the last couple of years, House of Leaves by Mark Z. Danielewski has been at the top of my list. The list of inspiring authors, besides Danielewski, includes Poe, Hawthorne, Seamus Heaney, Carl Sandburg, and lately, Koji Suzuki. Do you have any go-to people when writing a book who help you with your story lines as well as editing, beta reading and such? I do. I have a couple of friends who are authors themselves, Nathan Wrann and Stephen L. Duncan, who I trust to tell me when my work could be better, and how to fix it. After those two, my agent’s word is gospel. He always seems to know what I’m trying to do, often before I even know it myself, and I trust his opinion above everyone’s. It’s a rare thing, to be able to be in sync and work with someone like that. Always! Can’t give away too much, but my latest novel has a rabid bear in it. Also an exploding squirrel. Thanks so much for being here today, Shandy! It was great to hear what you had to say! Would you like a chance to win a copy of Shandy's book? Scroll down and fill out the Rafflecopter!